Product code: 1251 Categories: Sold Items, Sold Watches. This is one of the finest and most elegant watches made by Cartier – the Cartier Allongee in 18ct rose gold. This magnificent watch measures an incredible 27mm in length x 14mm (plus the sapphire crown) and has the traditional white dial with Roman numerals. 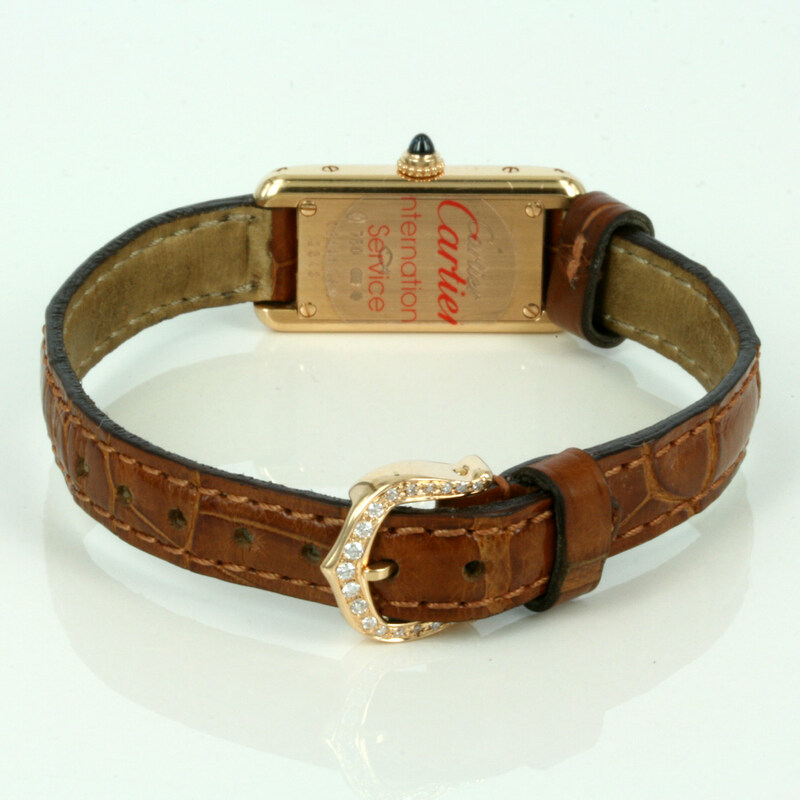 Fitted on a Cartier leather strap with the 18ct gold Cartier buckle, the buckle has later been set with a total of 19 round brilliant cut diamonds. 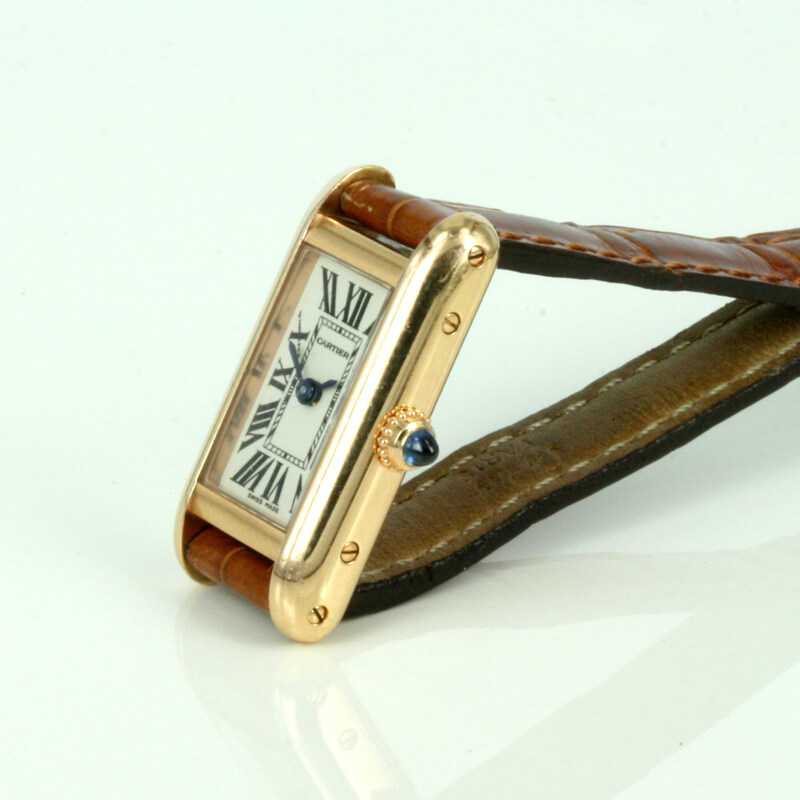 This ladies watch is so elegant, and is from one of the most exclusive collections by Cartier, that it will be cherished and loved every time that it is worn.